The title reveals it all, doesn’t it? Yes you are right, we are talking about the hottest couple of all times, VIRAT KOHLI and ANUSHKA SHARMA. 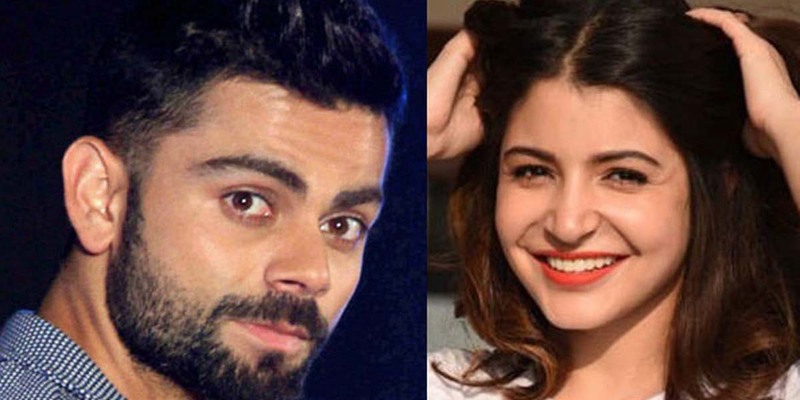 Anushka Sharma is recognized as one of the finest actresses that Bollywood has ever seen and Virat is popular for his outstanding performance on the cricket ground. So let’s find out when did this all began. Virat and Anushka first met each other on the set of a television commercial in the year 2013. The couple immediately hit it off and was often spotted alongside each other. Rumors began to flow, of them dating. Soon the couple came forward and accepted what they had in their hearts in front of the media. Although their acceptance had it’s away interesting way. After achieving a milestone in a match against Sri Lanka in November 2014, Virat blew a flying kiss towards Anushka who was sitting among the spectators. This was the clear declaration of his love towards her. Later that months Virat and Anushka confesses their love and said that, whatever was going on in between them was all open, they had nothing to hide. Although the couple was having a great time and was heading strong, it had to face many challenges and moments where there parted ways. They had their ups and downs, which are a part of a typical relationship. They have had his share of fights- some small, some big, and breakups too. Rumour speaks that Virat wanted to settle down with Anushka and work on their relationship, but Anushka wanted to stay focused on his work, because of which they split. Their breakup was not received good by their fans. But this didn’t last long. They were soon together and when questioned regarding this, they said that they took some time off the relationship to figure out their differences. Since then this couple has been together. They really adore each other and understand the importance of their presence in their partner’s life. Their love for each other is so pure and deep that they can face all Their problems when they have each other’s support.Their relationship may have been a roller coaster in the beginning but it is stable now, and moving in a positive direction. This is what this power couple has taught us.